Anil Nadkarni has over 34 years of core IT experience across multiple industry verticals such as Manufacturing, Travel and Hospitality, Insurance, EPC (Engineering Procurement and Construction), and Banking. Over the years Anil has gathered a huge wealth of knowledge in the industries that he has worked . 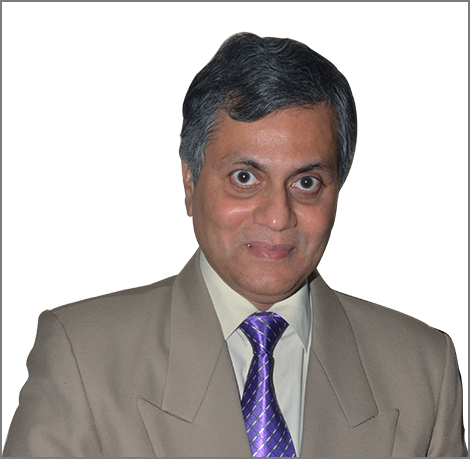 He has been part of many international technology committees for many MNC companies. Anil has also successfully brought in many of the prevailing technologies for business enhancement, which have been well appreciated. Anil is a good and effective communicator. He utilises this strength to ensure a smooth IT-Business partnership thereby harnessing the effectiveness of IT solutions. His ability to explain complex business problems in a simpler way and find a solution to mitigate the risk has been the hallmark of his long career. His go-get it ability has won him many laurels. This is the third year Anil has been recognised in the CIO Power List.